Two nights B&B in Junior Suite, 4 course dinner, choice of facial or massage each, and late checkout. This weeks exclusive offer from Rewarding Times is the ultimate in luxury. Two nights’ accommodation for 2 people sharing in a Four Poster Junior Suite overlooking the Irish Sea, including full Irish breakfast each morning, a four course dinner on one evening of your choice, a facial or massage treatment each and a late check out for only €299. 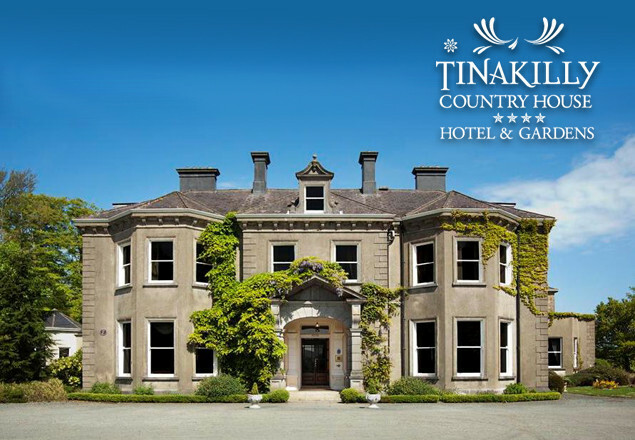 Set in 14 acres of mature landscaped gardens overlooking the Irish Sea, Tinakilly offers peace and tranquillity yet is only 45 minutes from Dublin, 55 minutes from Dublin Airport and 30 minutes from Dun Laoghaire Ferry Port. Vouchers are valid from 27th June to 29th September 2016..
Four course dinner for 2. Choice of Massage or Facial for each guest - please contact Tinakilly to check available times and to book in advance.